Fast & Easy Hairstyle Using a Headband! This casual yet beautiful hairstyle is one that will take you less than 5 minutes to recreate! It’s an easy hairstyle that anyone can master using a hairband and a clear elastic. 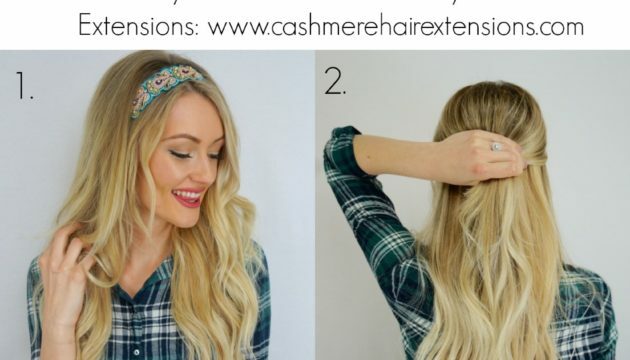 Whether you already have long hair, or you need extra help from clip in extensions, this is an easy hairstyle that makes a headband a lot more grown up. 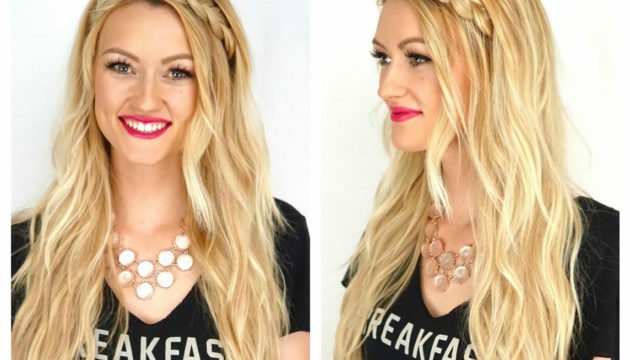 Clip in your extensions before creating this Braided Headband hairstyle. Cashmere Hair’s Favorite Hair Accessories! Hair accessories can dress up any hairstyle, but there is a fine line between looking like a little girl and looking chic. Here are some of our favorite hair accessories that you can wear while also wearing Cashmere Hair: Valentino studded headband valentino.